Chris Gordon, former interim director of UNCW’s Center for Education in Science, Technology, Engineering and Mathematics (CESTEM), earned his doctorate in educational leadership from the Watson College in December. 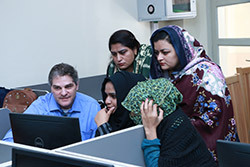 His dissertation focused on the relationship between teachers’ choice of programming environment and their perceptions of technological, pedagogical, and content knowledge. 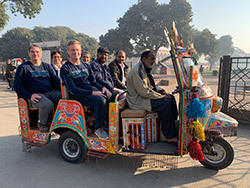 Bill Sterrett and Karl Ricanek, both members of UNCW’s IDEA-STEM team, expressed appreciation for Gordon’s dedication to the project, designed to build STEM educational and professional capacity in Pakistani middle schools. Please join us in congratulating Chris on his Ed.D. degree and commitment to global STEM education!